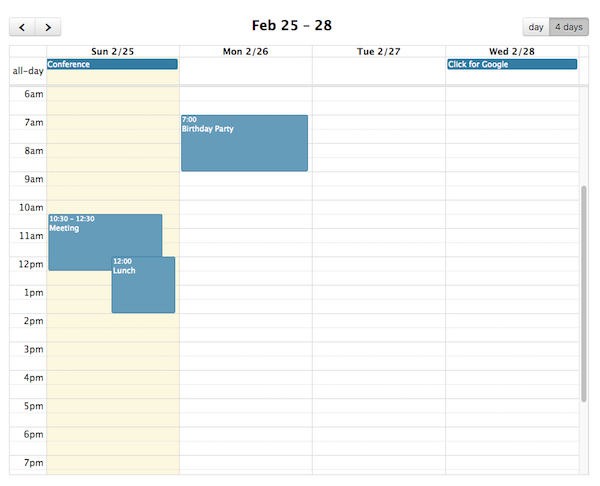 Agenda views of other durations can be made with a custom view with type 'agenda'. The following options are specific to agenda view. However, there are numerous other options throughout the docs that affect the display of agenda view, such as the locale-related options and date/time display options. Determines if the “all-day” slot is displayed at the top of the calendar. The text titling the “all-day” slot at the top of the calendar. 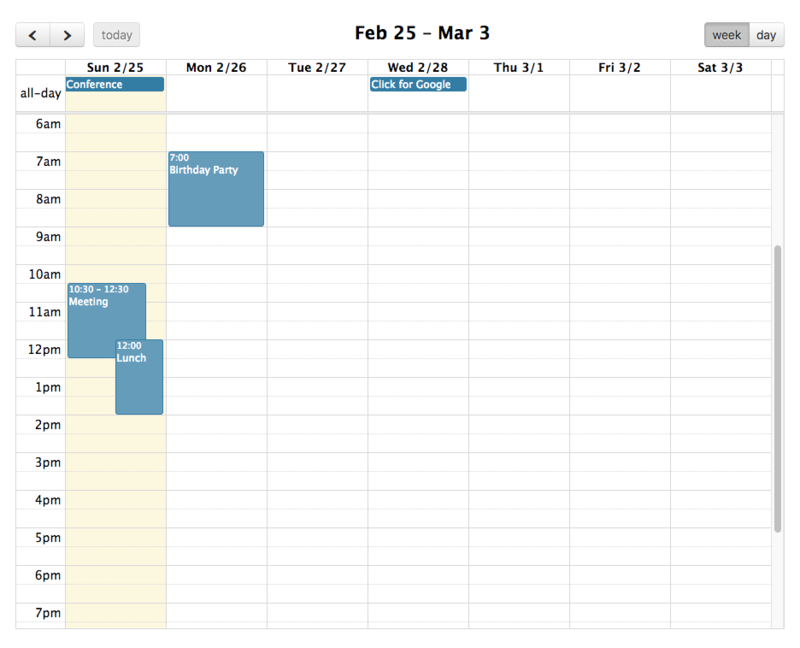 Determines if timed events in agenda view should visually overlap. Guarantees that events within the Agenda views will be a minimum height. The frequency for displaying time slots. Determines the text that will be displayed within a time slot. The frequency that the time slots should be labelled with text. Determines the first time slot that will be displayed for each day. Determines the last time slot that will be displayed for each day. Specified as an exclusive end time. Whether or not to display a marker indicating the current time. Determines how far forward the scroll pane is initially scrolled.